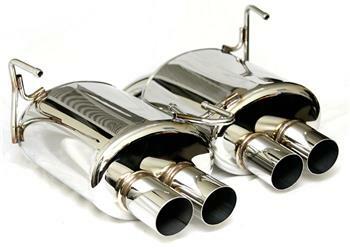 Our high-quality stainless steel quad-tip dual muffler setup for the 2012+ STI is a great upgrade for somebody looking for a top-notch piece. While louder than stock, it’s not so loud as to be annoying yet lets you know it’s there. Tig-welded and constructed from high quality stainless steel.